This fire pit kit is not for the faint of heart. Perfect for Halloween, movie sets, pirate themes, and those with eccentric styles. 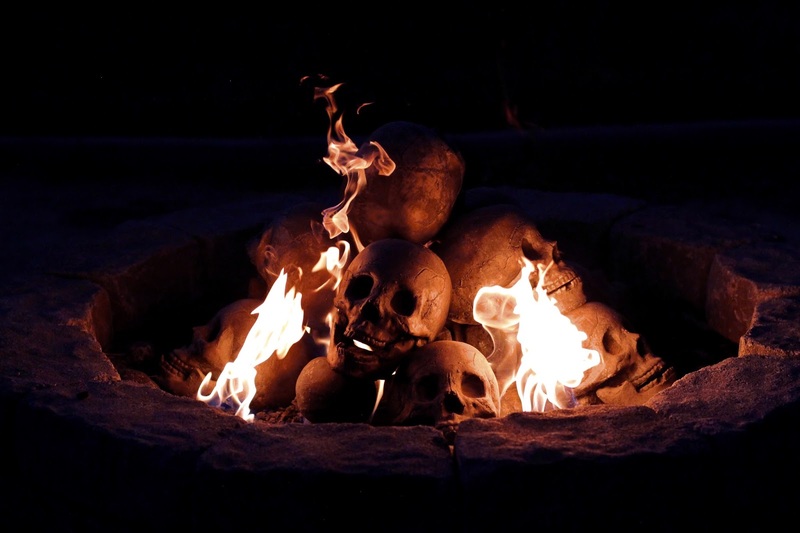 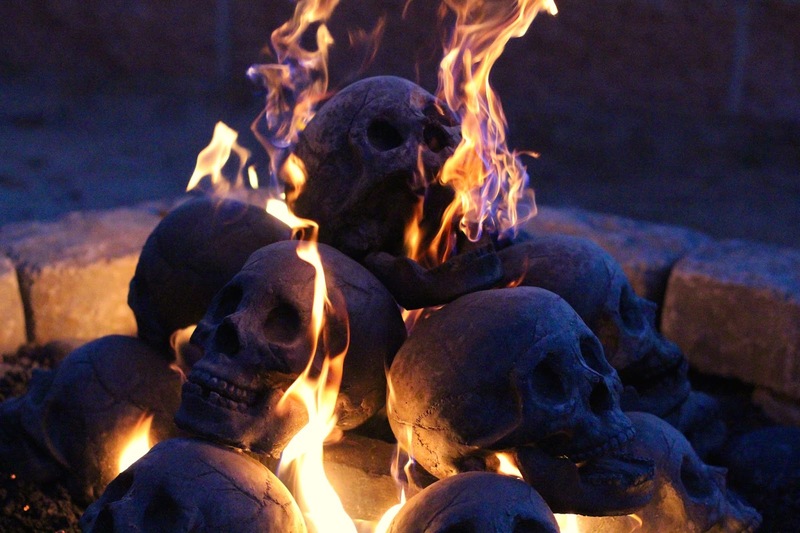 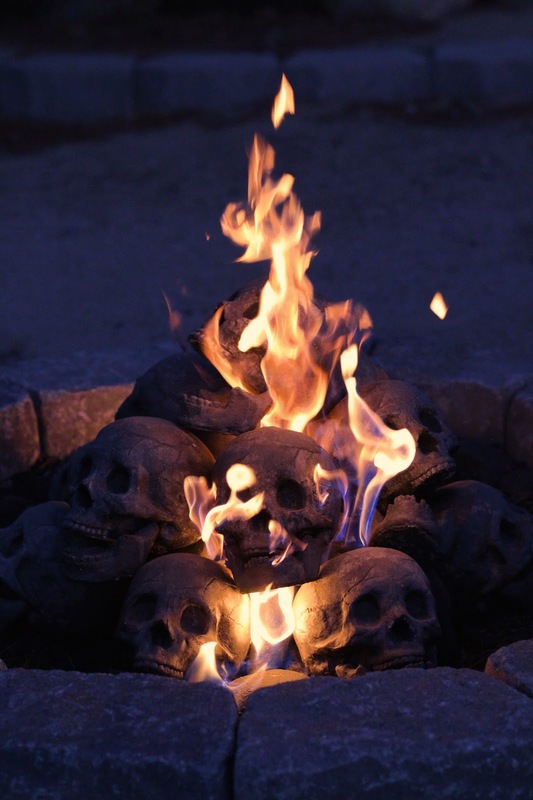 The shape of the human skull allows for incredible shadow and light play as the flames dance across the fire pit. It is visually stunning and incomparable to anything else in the market. 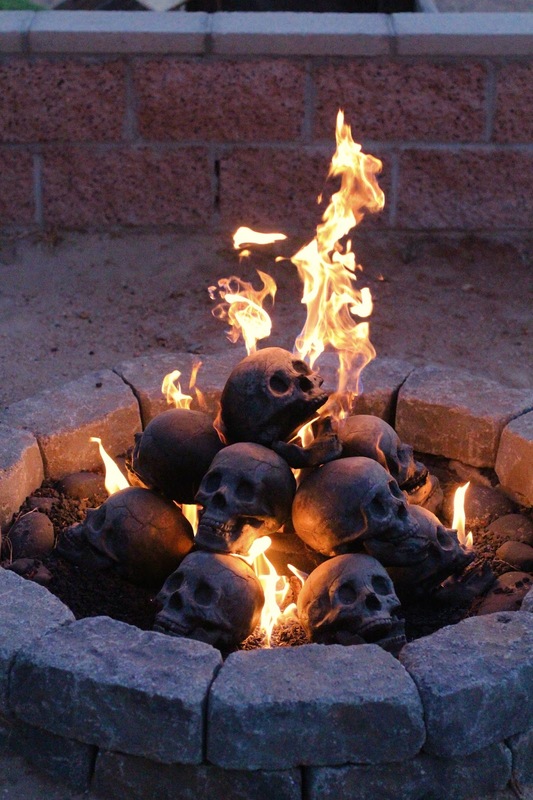 It is available for any size of fire pit. 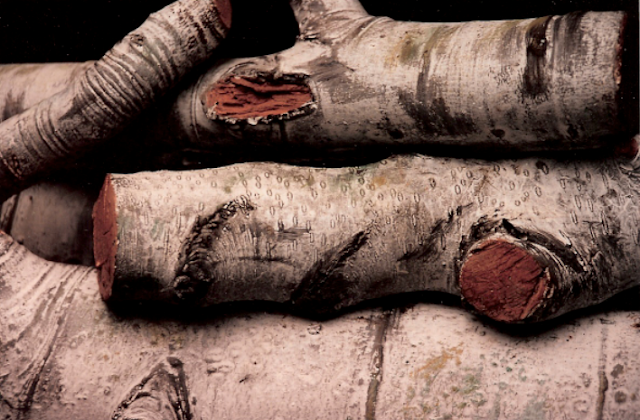 I REALLY love these, and expect to purchase some when my firepit is complete. 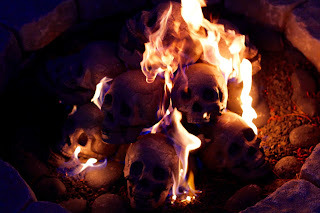 But a few femurs and humeruses (humeri?) would be a great touch!